We walked into town to the local cafe and had a breakfast where everyone knew each other, and had very nice french toast. Packing our bikes we realized that although the wind temperature was low about 15 Deg. C , the sun was really hot which evened out the equation giving us another beautiful day to ride. Leaving the hotel the GPS wanted us to go back a few kilometers to the highway but we had other plans and decided to continue on our way taking back roads to Tamworth where the Powerhouse Motorcycle Museum was. 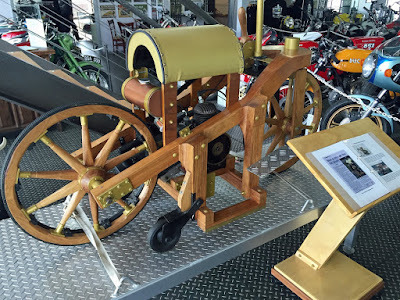 We glazed over the many bikes there comparing it to the Museum we visited in Bicheno Tasmania, then left on our way to Dorrigo. 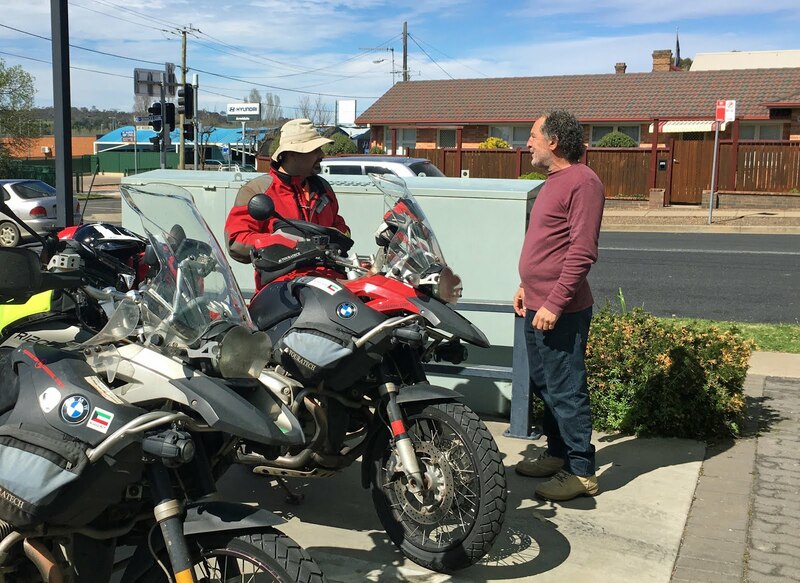 When we reached Armidale we took our break then continued on one of the best roads for motorcycling we have seen, with grand vistas and curvy roads , we were mesmerized and a little disappointed that it ended when we reached the Hotel. 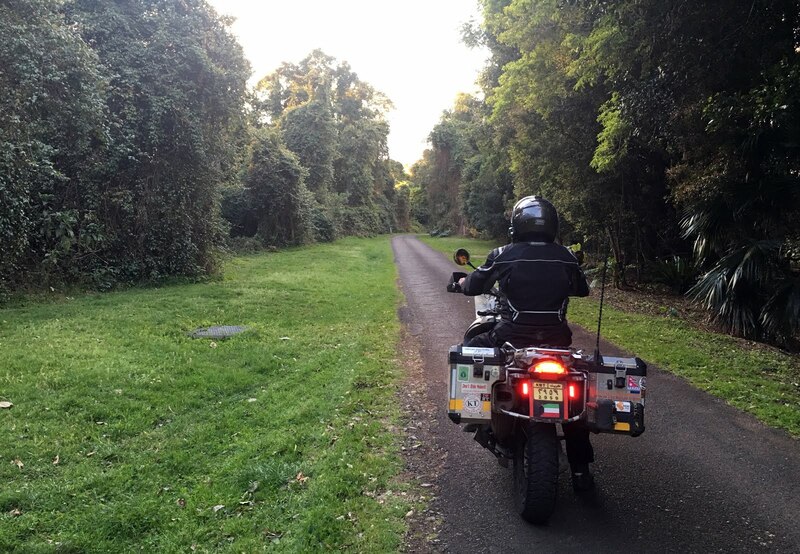 Later we found out that there were waterfalls along the route that we could have stopped at had we ventured off the road but we didn't care, The enjoyment we got from the ride and the road was far more than enjoying watching a waterfall. 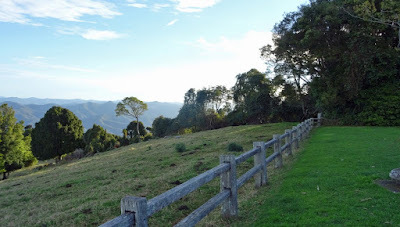 The hotel was atop of mountain with nice scenery all the way to the ocean, and the patrons here told us of another look out about 4 km from the hotel so we rode there and took some very nice photos. We decided to stay in today and had our dinner in Ali's room which was quite good. Tomorrow is a long ride to the Gold Coast and the weather forecast is RAIN.